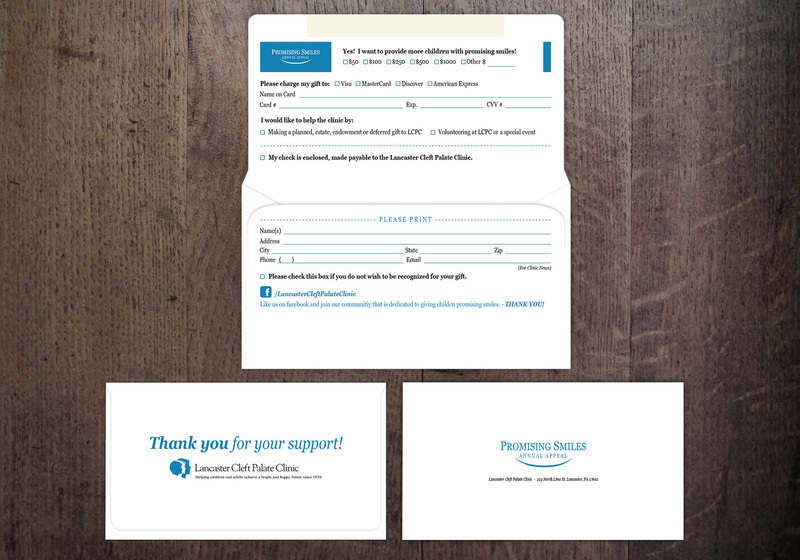 Lancaster Cleft Palate Clinic (LCPC) is an organization that helps children with cleft palate find confidence in their true smile. 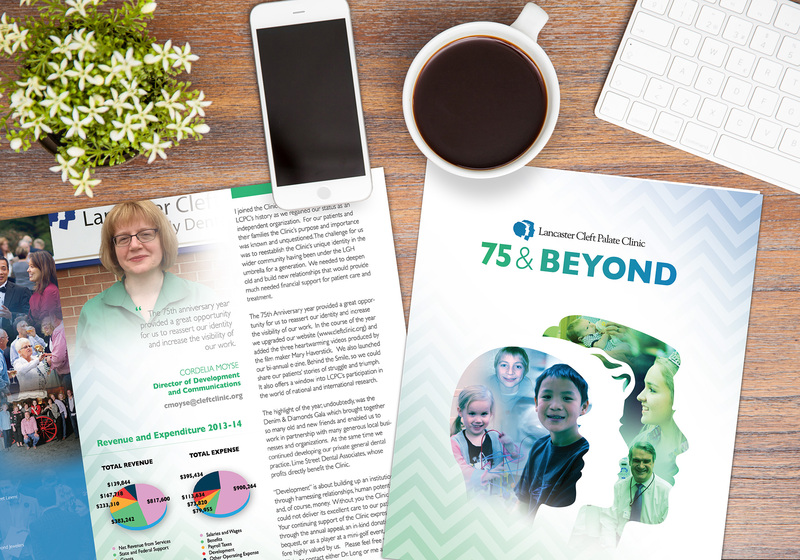 They are the largest cleft palate clinic in America and help thousands of families. 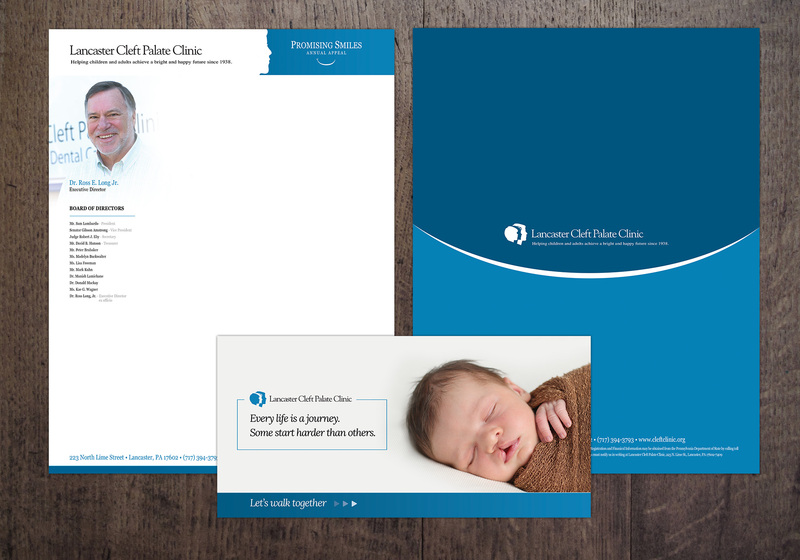 Lancaster Cleft Palate Clinic is the largest of it’s kind in the United States. 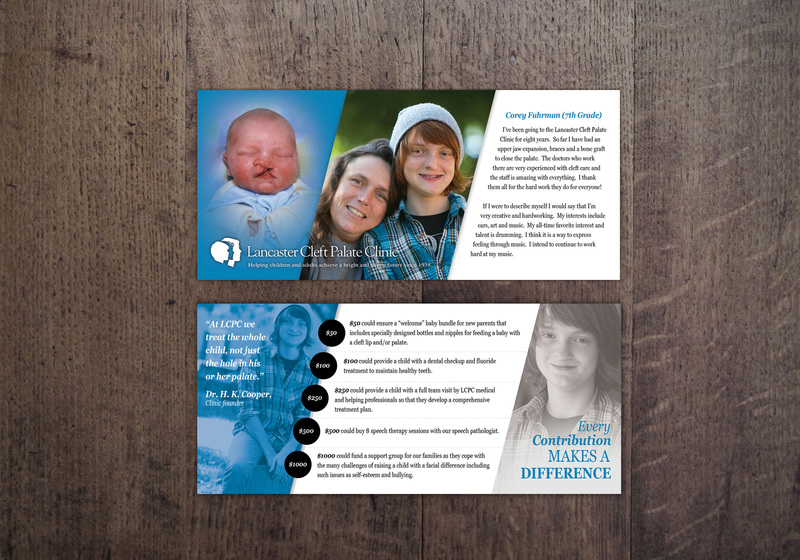 With a desire to reach every child in need, LCPC wanted to breathe new life into their support campaigns. 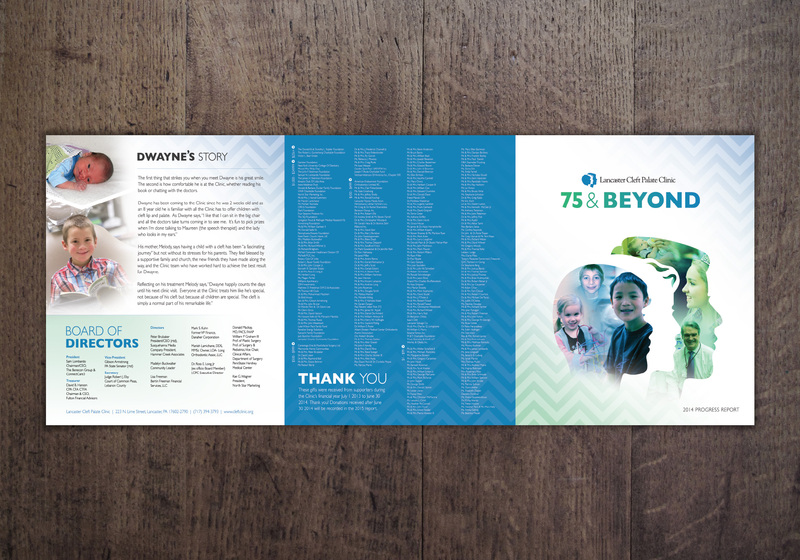 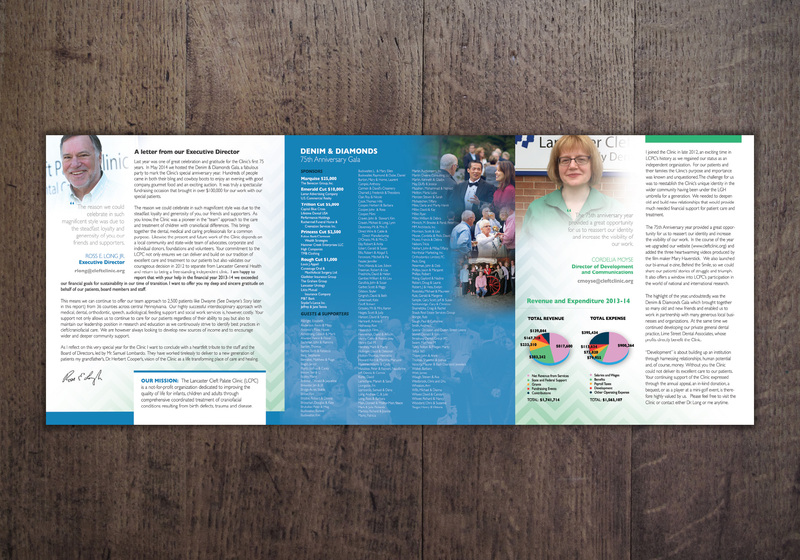 From full size trifold year end reports, to flyers to help raise funds—Hamilton was able to raise the brand while centering in on the goals for the campaigns.